Photo: Lee Adlaf via Flickr. We always love it when a supporting character in an opera steals the show. It’s a tip-of-the-hat to the writing of the character, and to the singer/actor pulling it off. Sometimes these characters even stick with me longer than the leads; it’s fun to imagine what happens to them after the main action has finished. Do the Five Jews all go and move into an apartment together, bickering charmingly like the Golden Girls? Does Cherubino stay with Rosina and play the good dad, or does he skip town to satisfy his still-ravenous sexual appetite, Don-Juan-style? Was Leporello gay, after all? Let’s imagine a few potential operatic spin-offs, shall we? After Mimì dies, the four guys’ vibe has changed, and all the bright-side-of-life way of thinking that held them together no longer works. Schaunard decides to follow his singing career, and it takes him to the cabaret. He becomes wildly famous in Paris, and he meets a fellow cabaret singer there, and they have a fiery affair that makes Marcello and Musetta look like Tamino and Pamina. We only met him at one of his infamous parties, and didn’t have the chance to see that the Prince has become a sad man, kept amused only with his huge fortune. He struggles with alcohol and drug abuse, and distracts himself in a very Great Gatsby sort of way from his own life. Perhaps he was abandoned as a child, or forced to go to law school when he really just wanted to sing. The Prince had broken the hearts of a few groupies-turned-lovers, until he saw Adele show up at one of his latest parties. He can’t get her out of his head, and he’s going to find her, Cinderella-style. The family of singers travels around, singing in 8-part harmony like the Andrews Sisters or the von Trapps. It could be very Dialogues des Carmélites, very Orange is the New Black. Elvira told us all that she’d quit it with men and go live in a convent. She’d meet other nuns, some of the friendly and some of them not; some of the nuns might be suspicious of this new addition, thinking that she’s just going through a post-breakup-church-phase. Elvira would have to prove herself genuine, perhaps finding her true self along the way amongst these well-behaved ladies. 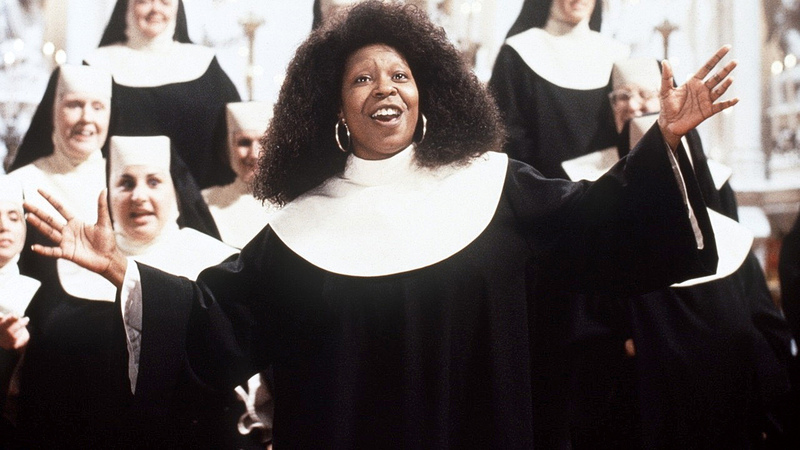 Maybe it could be very Sister Act. I like to think that Enrico shows us his remorseful side at the end of Lucia; so maybe after his sister goes nuts and he realizes that money and status aren’t worth lives, he goes to work for underprivileged young women. He gives them a safe place to stay, and teaches them to read and write so that they have a chance at being independent. He donates money to mental health hospitals. He finds that giving back to society helps with the guilt he bears for what happened to Lucia. After they all get thrown out of the house for being generally terrible people, the Donatis band together using the skill they all have in common: singing. The family of singers travels around, singing in 8-part harmony like the Andrews Sisters or the von Trapps. They become a Florentine sensation and the family gets back on its feet in no time. A few of the cousins start to question their money-hungry ways, and conflict amongst the Donatis ensues; cue the slapstick comedy and moments of profound lines from the most unexpected characters. Just as entertaining would be to scrap the singing idea and just set them as an operatic version of The Royal Tenenbaums. What other opera spin-offs should there be? Add your ideas in the comments below!